Celine’s Spring/Summer Runway 2016 collection features a myriad and a great variety of cute seasonal handbags. Incorporating different ideas and concepts into one collection and coming up with equally beautiful and winsome bags is something Celine is known for. Always wanting to please the modern-day woman, Celine never fails to experiment and introduce interesting twists and surprises to its avid customers. Business wise and keeping up with the competitive bag rivalry, Celine is screaming with a loud voice by coming up with innovative, lovable and feminine designs that is sure to catch the attention of many. For the Summer 2016 collection, it is quite apparent that Celine leans toward a concept of new textures and colors, and the use of absolutely divine and genuine calf leather. 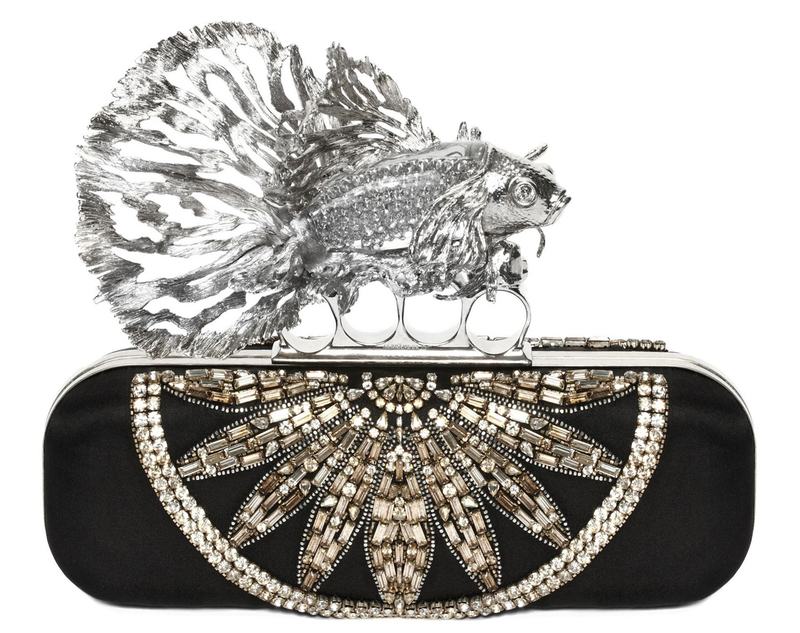 A product of this year’s collection is the Celine Clutch with Pocket in Printed Watersnake. You can select among its 2 color combinations: the Black and White Printed Watersnake or the Orange and White Printed Watersnake. This cute and pattern-infused clutch is made from waternake and lambskin lining and has the following dimensions: 10′ x 7′ inches, priced at €740 euro. Lest you think that Dior makes nothing but the Lady Dior, the Be Dior and theDiorama (and even the Diorissimo, for that matter), they’re also pretty good at the whole evening and clutch bags department, with my favourite of the lot, the new Baby Pouch Diorama taking the lead. And then there are these lovely ladies that come with either removable slings or fixed straps, loads of space on the inside despite their size and enough card slots collectively for at least 100 cards and more. In other words, the next time you’re at Dior, ask the SAs to show you some of these lovelies as well, from the Diorissimo Promenade Envelope Clutch (top row in two-tone Rose and Fuchsia) to the Miss Dior Mini Pouch (second and third row in three-toned lambskin and exotic snakeskin). For something more substantial, there’s the Miss Dior Large Pouch (rows 4 and 5, both in lambskin), and last but not least, the Pochette,which in layman’s terms is simply a really long wallet with a single compartment on the inside and a sling that’s also removable. Take the Pliplat, a leather clutch from Hermès that can be worn at least 2 different ways, silkscreen it with one of their most iconic prints and you’ll have the Pliplat Clutch in Brides de Gala, a beautiful addition to the S/S15 collection that’s a collectible in itself. Measuring some 33 cm by 21 cm, you can use it as a clutch in its folded form or unfurled and used as a much larger clutch, you’ll have to wait a little longer before I’m able to find out when it will be launched in Singapore as well as its suggested retail price. So for now, just sit back and enjoy the beautiful print.